Now going on a short range flight has become more convenient. Instead of waiting in long lines and bearing cramped airports, you can choose to charter for a private De Havilland DHC-8 100/200. Within an agreed takeoff schedule, you can reach its farthest possible destination in just an hour or a little more. This aircraft is also complete with facilities to make sure you’ll have a comfortable experience on board. Some of them include a galley to prepare you snacks, plus in-flight entertainment system for your enjoyment. To ensure connectivity, another standard feature of this aircraft would be the WiFi access. This lets you stay in touch with your friends, family and professional networks. You can also work while on the De Havilland DHC-8 100/200, especially if you’ll need to prepare yourself as you fly for a business meeting. Access your emails, update your cloud based documents and coordinate with your team while flying, so you’ll be negotiation or conference ready when you land. If you’re flying for a getaway, you can also use the internet to stream your favorite shows. Before you know it, you’re already gliding over your intended location’s beautiful sceneries within an hour or so. 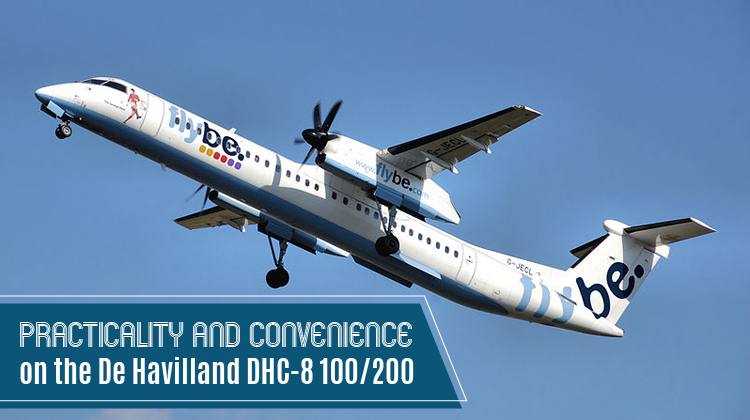 Know more about the De Havilland DHC-8 100/200’s specifications and charter for your very own private flight today. Chartering for a private De Havilland DHC-8 100/200 means you’ll get the chance to stretch out your feet more, with its seats’ lengthier legroom. One of its standard features includes comfy chairs which can be reclined plus tables where you can enjoy your snacks. The same table can equally function as a platform for your laptop if you’d like to catch up on some business related details. Flying on the De Havilland DHC-8 100/200 means you can reach as far as Newfoundland and Labrador if you’re coming from Toronto, Canada. 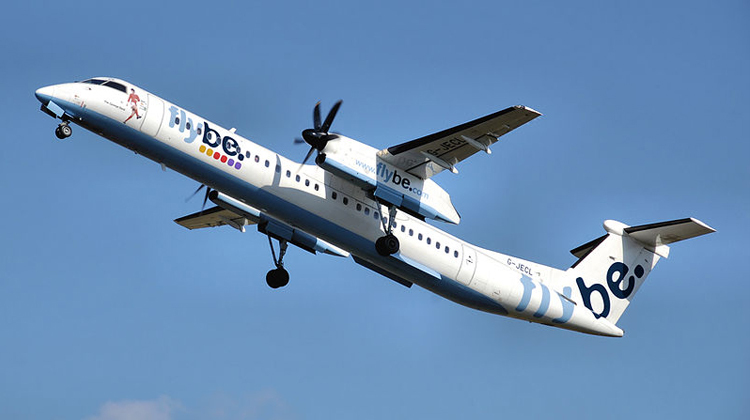 The other destinations you can fly to when on this plane include Quebec or Florida, USA. Maxing out the aircraft’s flying range means you’ll also need to confirm its allowable passenger count and luggage weight. As your operator lays out the best possible routes and schedules of your flight plan, remember a lighter aircraft leads you to reach farther destinations. You may also reach your intended destinations in much faster paces with lesser loads on the plane. Manufactured by de Havilland Canada and Bombardier Aerospace, the De Havilland DHC-8 100/200 was first flown in 1983. While de Havilland Canada initially produced the aircraft, Bombardier Aerospace eventually took over in manufacturing it. Since its introduction, about 30 variants of planes have been produced to fit different applications. These were used for maritime, fire tests and other military related purposes.